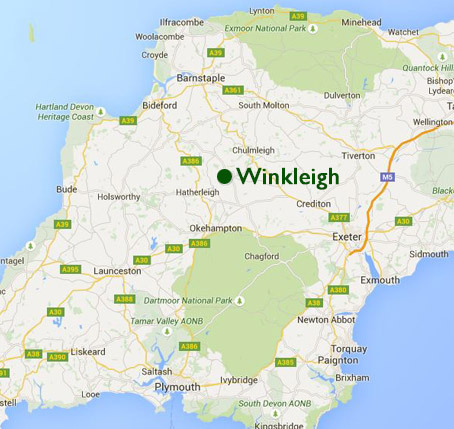 Take M5 and exit A30 towards Okehampton, exit A30 signposted Winkleigh. Follow for 8 Miles signs for Winkleigh. T junction at Winkleigh village turn left towards Torrington, follow for 1 mile to the straight airfield road. Take left turn towards Dowland, Devon Plant Services 800 yards on the right. Take A30 towards Okehampton, exit A30 signposted Winkleigh. Follow for 8 Miles signs for Winkleigh. T junction at Winkleigh village turn left towards Torrington, follow for 1 mile to the straight airfield road. Take left turn towards Dowland, Devon Plant Services 800 yards on the right.